Friday, May 1 1908 -- Some of the more notable local anglers are highlighted in this small cartoon, wherein Herriman welcomes Angelenos to 1908's trout season. Can you imagine a city today even having anyone considered a notable angler? Well, they were originally the *Minneapolis* Lakers, from the "Land of 10,000 Lakes." As with the New Orleans/Utah Jazz, sometimes they didn't get around to changing the name when the team moved. For that matter, the Dodgers' original nickname was Brooklyn-inspired. 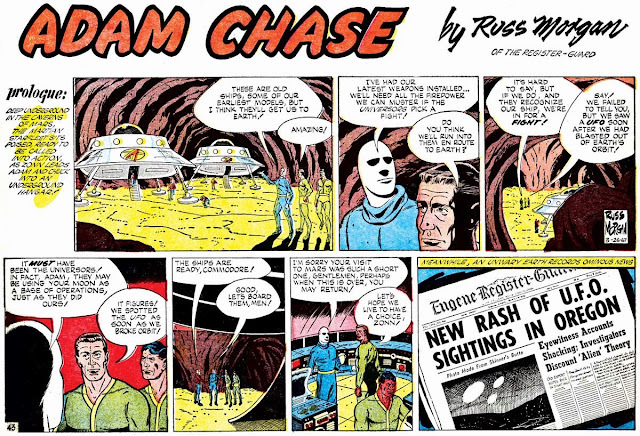 Adam Chase strip #43, originally published March 26 1967. For background on the strip and creator, refer to this post. In the 1870 U.S. Federal Census, Beaty was the youngest of six children born to Isaiah and Mary. His father was a house painter. The family resided in Vermont, Illinois. The Beaty family was recorded in the same city in the 1880 census. According to the 1940 census, Beaty’s highest level of education was the eighth grade. Information regarding his art training has not been found. At some point Beaty resided in Minneapolis, Minnesota. Perhaps he attended the Minneapolis Institute of Arts. In 1894, the Minneapolis city directory listed Beaty as a decorator residing at 217 Central Avenue. The following year found the artist in the St. Paul city directory, residing at 371 North Washington. According to the 1896 Peoria, Illinois, city directory Beaty lived at 925 Monson. The 1897 directory’s business category for artists listed him at 204 Main. Of the newspaper artists of the West whose work is just now commanding popular favor, none are more deserving of honorable mention than Charles A. Beaty, of the Peoria Herald, several of whose sketches are presented in the current number of The Inland Printer. 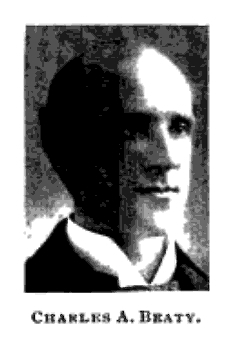 Mr. Beaty is a native of Illinois, twenty-eight years of age, and started out upon his career as an attache of the Labor Problem, a Minneapolis publication, in 1894. His success from the start was most gratifying to himself and satisfactory to his employers. The genius which was everywhere manifested in his productions not only took amazingly with all classes of people in the Minnesota metropolis, but so impressed itself upon the minds of the enterprising proprietors of more pretentious newspapers in that locality that it was not long before he was catering to the wants of the public for newspaper illustrations through the wider mediumship afforded by the Morning Call of the adjoining city of St. Paul. 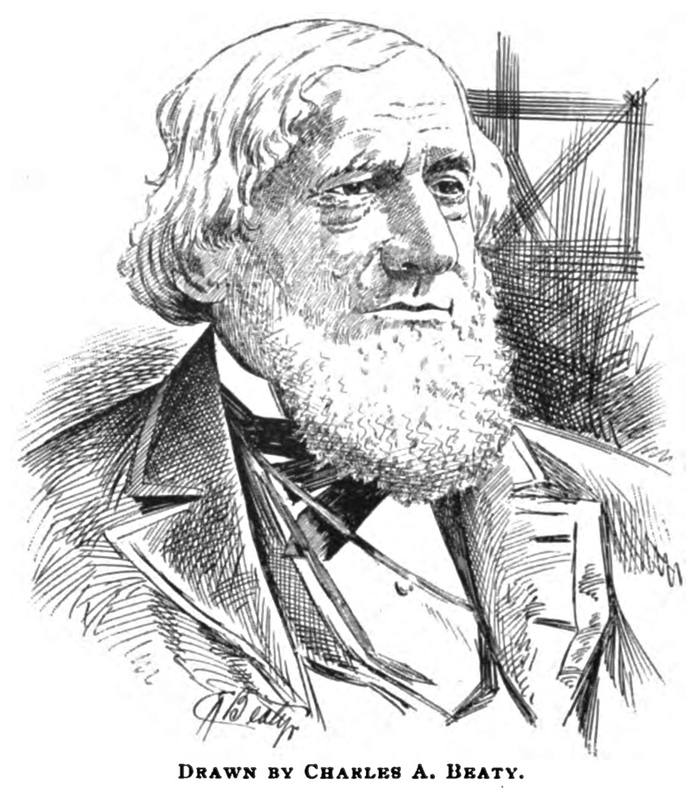 From there he went to the Daily Globe, of the same city, where he still further distinguished himself, his sketches of the Ging murder case, for which Harry Hayward suffered death upon the gallows, being masterpieces of design and detail, and adding in no small degree to the reputation always enjoyed by the Globe as one of the most enterprising publications of the great Northwest. A lucrative position being offered him by the Peoria Herald, he removed to the latter city and has since been doing yeoman service in behalf of that journal, devoting what leisure time falls to his lot in contributing specimens of his work to the magazines and other publications. Unlike many of those who aspire to distinction in this particular field of labor, Mr. Beaty is a natural as well as an educated artist, and is perfectly familiar with all the details of process engraving. His portraits are finely executed and marvelously correct reproductions, while his cartoons, always abreast of the times and of striking originality, are free from those appeals to the coarser element of society so often employed in this character of illustration. Equally as clever in crayon, ink or chalk, with a capacity for work that is almost limitless in its range of possibilities, Mr. Beaty may be justly considered one of the rising young artists of the present day, and one who has every reason to congratulate himself on the prospects the future has in store for him. The 1899 Peoria City Directory listed Beaty as a Herald-Transcript artist who resided at 1402 Hamilton. The 1900 census recorded Beaty, his wife, Anna, daughter, Mildred, and brother-in-law, Harvey Carnahan, in Peoria at 531 Indiana Avenue. Beaty’s occupation was newspaper artist. The 1901 city directory listing said he was the manager of the Peoria Electrotype & Engraving Company. He held the same position in the 1902 directory which gave his home address as 107 Greenleaf, which would remain unchanged through 1905. His job switched back to artist and he returned to the Herald-Transcript in 1905. The next available directory is from Chicago 1907 which had an advertisement for the Ellsworth Building, 355 Dearborn Street, and listed Beaty in room 1007. Beaty’s home in the 1910 census was Chicago at 557 Briar Place. His daughter was 12, and son, John, 7. 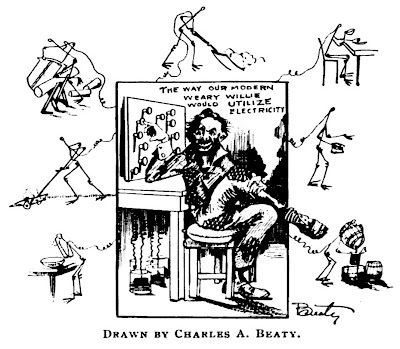 Beaty was an artist at a studio. 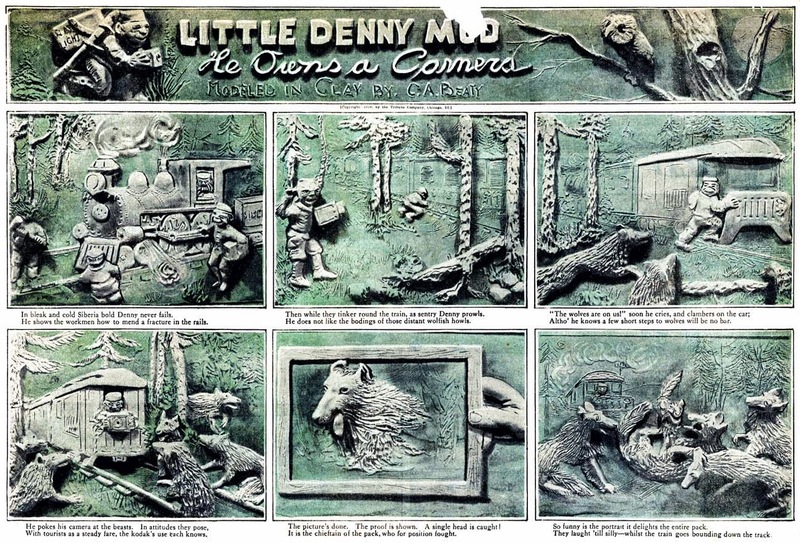 American Newspaper Comics (2012) said Beaty's comic strip, Little Denny Mud—He Owns a Camera, was a photograph of a clay sculpture. 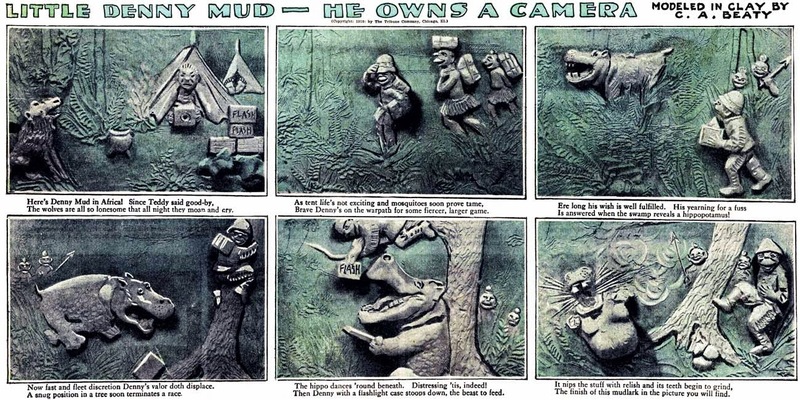 It was syndicated by the Chicago Tribune and ran from January 16 to May 8, 1910. (A sample page appears in the book, Society Is Nix.) Apparently this sculpted strip attracted the attention of the Chicago Embossing Company which hired Beaty, according to the Inland Printer, September 1910. Specimen of high embossing from bas-relief of C. Beaty. 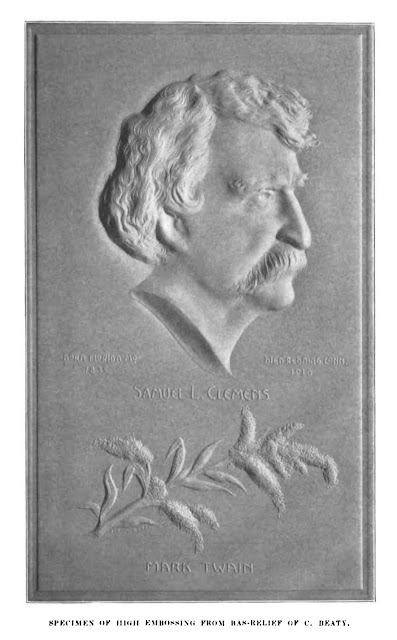 The Universal Press Syndicate distributed a panel of clay portraits by Beaty with text by Gene Morgan. The earliest one found, so far, is of Governor Woodrow Wilson in the Daily Missoulian (Montana), January 19, 1912. That was followed by J.P. Morgan on February 25, 1912. A portrait of Kris Kringle appeared in The Lubbock Avalanche (Texas), December 19, 1912 and The Pickens Sentinel, (South Carolina), same date. On December 28, 1912, Father Time appeared in The Appeal, (St. Paul, Minnesota) and Spirit of the Age (Woodstock, Vermont). 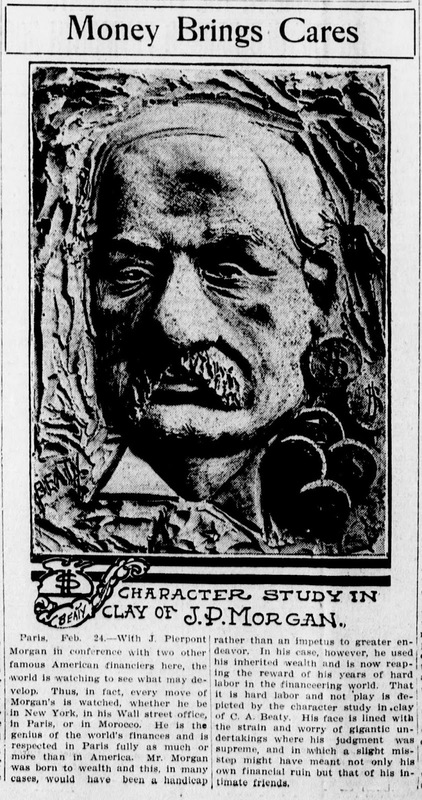 In 1913, the portraits had a series title, Great Men in Common Clay. The subjects, found thus far, are Orville Wright, Jim Hill, Charles Morse, Sir Thomas Lipton, and Andrew Carnegie. Apparently Beaty tried to capitalize on his sculptures. A number of his statuettes were copyrighted: a baseball player in 1913, a child in 1921; Will Rogers in 1935; and boxing champion Joe Louis in 1939. Beaty and his family remained at the same address in the 1920 census. His occupation was commercial artist. The year 1930 found Beaty, wife and daughter in St. Louis, Missouri at 4518 Delmar Boulevard. His occupation was artist in the “art craft” business. On November 24, 1932, his wife passed away; the cause was tuberculosis. At the time, Beaty resided at 4106 Shaw Avenue. The 1933 St. Louis City Directory listed Beaty and his son and their occupation as salesman. Beaty’s daughter was a typist. …Art Commission approves the design. The monument was designed by Charles A. Beaty, St. Louis sculptor. Several of the subscribers to the $15,000 monument fund have urged that the fountain be named in honor of the late David R. Francis. In 1940 Beaty lived with his daughter in St. Louis at 3935 Bingham. He continued as an artist who worked as a decorator. Beaty passed away April 3, 1944 according to his death certificate. The medical report said the cause was chronic myocarditis due to acute bronchitis and liver cirrhosis. Beaty’s son provided the family information. The St. Louis Central Library has a file on Beaty which might include an obituary. 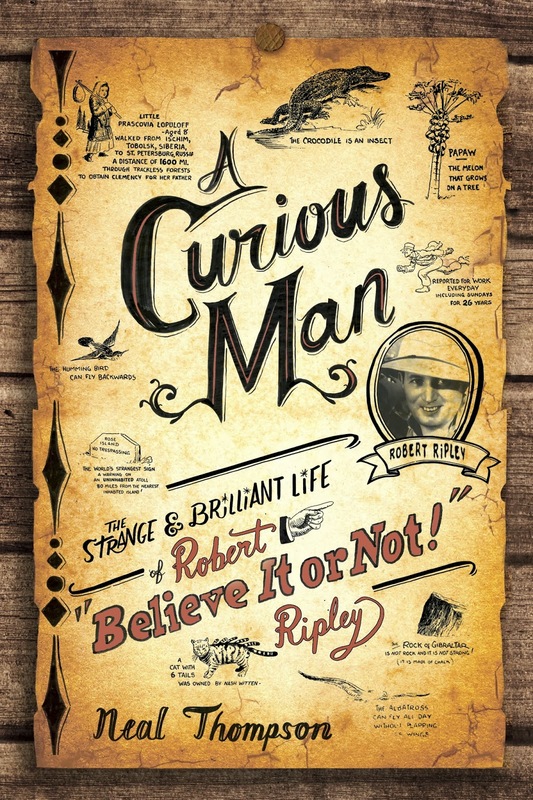 Cartoonist Robert Ripley had an interesting life that is well worth your reading time in this enjoyable biography by Neal Thompson. Thompson kept me entertained while telling the story of this fellow, one of the most widely recognized cartoonist names in the world. Of course, I imagine the general public today doesn't even realize he was a cartoonist before he became a radio host and iconic ringmaster to all the world's oddities. In fact Thompson's skillful writing was so effective that I didn't realize until well after I'd finished this satisfying book that I'd been subject to a bit a of a whitewash, likely at the behest of the the Ripley Entertainment corporation. I did notice right off that nowhere in the book is it frankly admitted that Ripley used ghost artists. The closest we come is a remark that King Features was always freaking out over his lateness and on occasion a syndicate bullpenner had to dash off some cartoons at the last minute. At first I ascribed that omission to simple lack of interest. This is a biography for a general audience, after all, not for cartooning historians, so perhaps the detail was not deemed important. But then I realized that Thompson also never seriously entertained the idea that Ripley was a bit of a creep for making a good part of his fortune off of freak shows. That seems an issue worthy of exploration. Thompson acknowledges his huge debt to the archives of Ripley Entertainment, and I am left with the impression that Ripley Entertainment did not share all that raw material without exacting their pound of flesh from the author. That's a shame, but considering the wealth of source material that Thompson was able to bring to bear in this biography, I suppose it is an equitable sacrifice. Or perhaps, on the other hand, Thompson simply accepts Ripley at face value, and doesn't see any point in discussing Ripley's possible moral failing of making a very good living off of the deformities, eccentricities and misfortunes of others. I suppose there really isn't anything wrong with leaving it up to the reader to form their own opinion of Ripley's character. 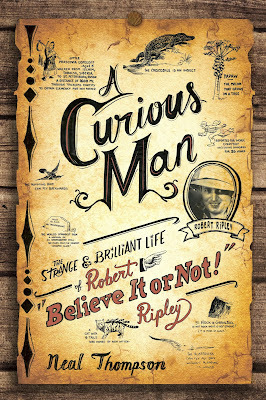 Ethical qualms aside, Ripley's life is fascinating and Thompson tells his story very well. The facts of his cartooning career, and the background to newspaper cartooning in the early part of the century, are accurately reflected. 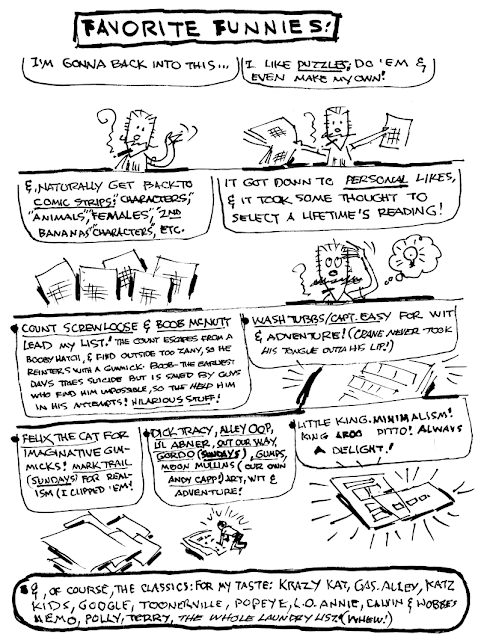 Since I fact-checked an early draft of the book, hopefully I was able to help with that aspect. Thankfully Thompson doesn't gloss over his early cartooning years, as other biographers might, and his cartooning certainly doesn't get short shrift over his later more well-known exploits in radio and television.